Normally I need extra motivation to photograph a practice. I never seem to know what is going to go on next. In games the fun part is taking the structure that you know and trying to predict what will happen. A practice takes all of that away. A scrimmage is usually a glorified practice. 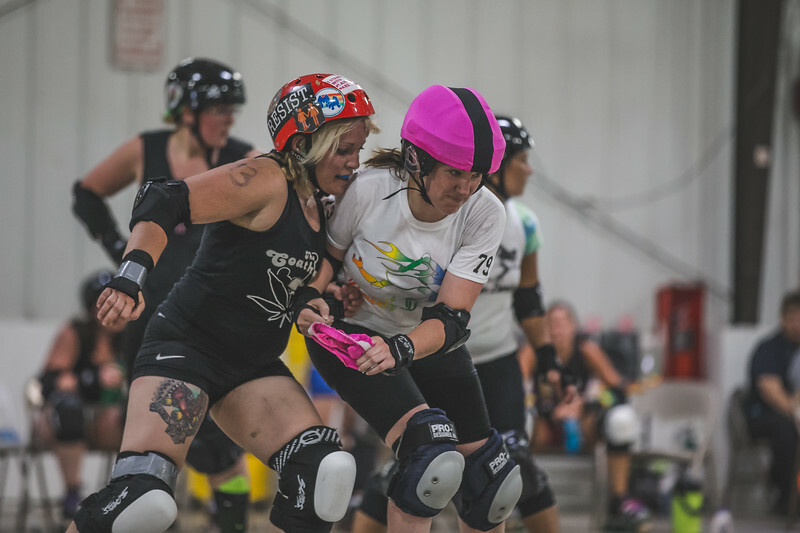 In roller derby though a scrimmage is just a way to make more photos than you normally do during a game. 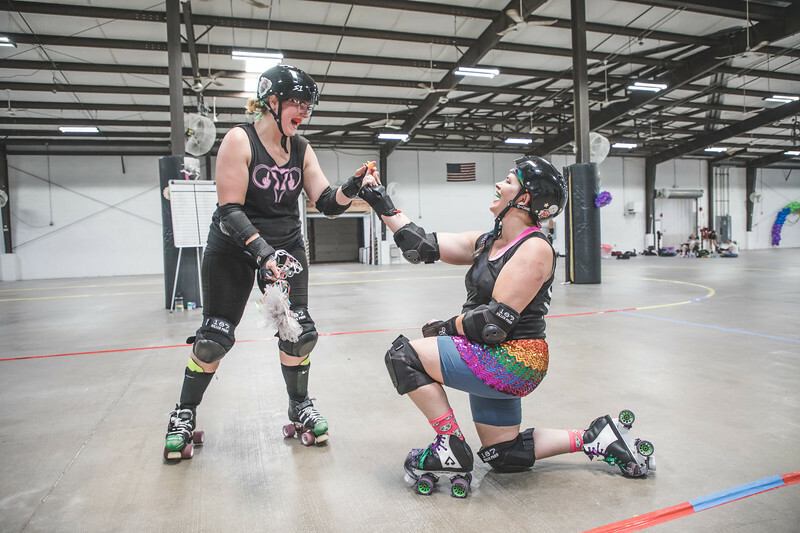 I had a fun day making roller derby photos. There are a couple of sports where my new workflow saves me a lot of time. Baseball is one of them. You photograph so many swings that are not in play that without tagging the photos you want to look at later it takes forever to go through a shoot. 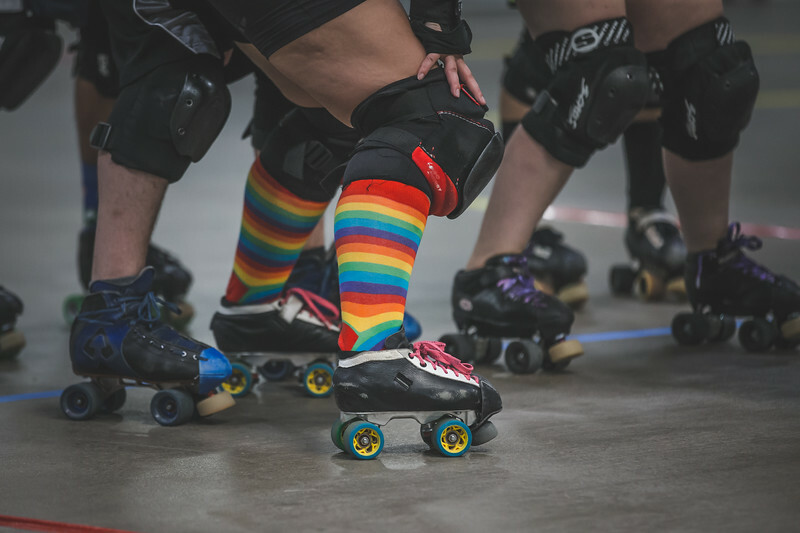 Roller derby is the other sport. There are so many little moments that aren’t always apparent during a quick pass through. When you tag in camera during the event you have that moment fresh in your mind. I was able to get a gallery up fairly quickly after the event yesterday because I only looked at the tagged images from the bout in Photo Mechanic. That little use for Photo Mechanic saves me at least an hour editing. For some reason Adobe can’t figure out how to let me just ingest tagged photos in Lightroom. 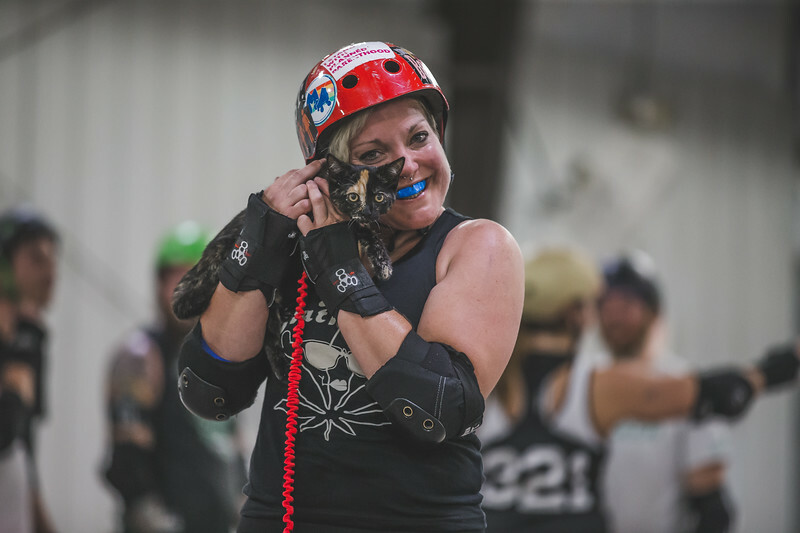 Some of my favorite roller derby photos happen away from the track. This is a sport filled with personalities. I love the photo directly above because it shows another side of who I consider one of the fiercest athletes on the track. Dreaded Thunder can lay a hit on you in between the lines. When she is not skating though I can also make a picture of her and her new kitten. You can find my gallery from the action yesterday here. It was a fun couple of hours filled with lots of action. The gallery is unlocked so you can download whatever you want for personal use.